The past couple of weekends have been glorious. In that we've had free time to seriously do nothing! 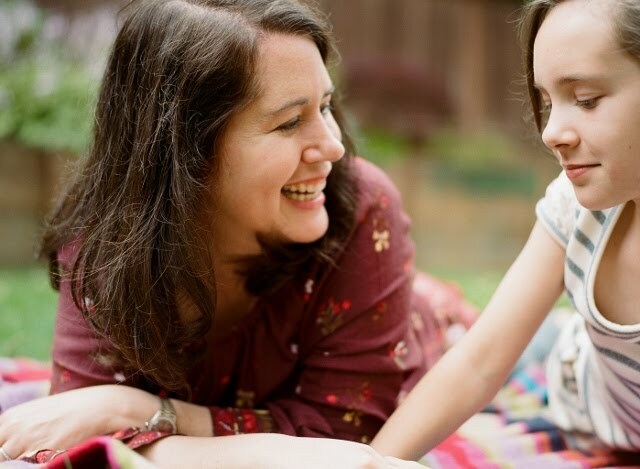 On one afternoon, the dog was taking a nap, Andrew was taking a nap, Julia was making a tiny fairy house and playing with mud outside with a pal, and I got to goof off on Pinterest and other sites o' pretty, which I haven't done in ages. I had wandered over to the Crabtree & Evelyn site and I saw one cute thing after another, and it suddenly occurred to me that there was a post to be had in this material. Why is it that only kids get Easter baskets? You know why Easter baskets are cool? BECAUSE GIFT BASKETS ARE COOL. Oh my goodness, how I do lovedy love love an awesome, well thought out gift basket. And I never get them. I should send one to myself! Anyway, it dawned on me that all the C&E fab I was seeing were all things I'd choose if I were indeed making myself a spring gift basket. It's mostly the food items in their amazing and lovely packaging that I'm so enamored with. I posted the Lavender Tea Cookies on the Julia's Bookbag Facebook page over the weekend. SIGN ME UP FOR THOSE. Also, some Blackberry Green Tea and the C&E Afternoon Tea. But what really rocks my socks is the Breakfast Set. Which includes some kind of oat biscuits, English Breakfast tea, and marmalade. Doesn't it sound just so NICE?? I adore the look of some of their treats, especially the little fruit candies and the clotted cream fudge. Has anyone had clotted cream fudge?? Is it so tremendously marvelous?? Oh and then I also was totally freaking out over the strawberry kit, which has strawberry and cream cookies and strawberry and ROSEWATER preserves. Ok I really want that. Andrew, are you reading?? Apparently, the nail polish line is a new thing, and I thought the mother-of-pearl nail lacquer would be great for pretending that I am a real and true mermaid. Because one is never too old to pretend to be a mermaid! And then I would moisturize my mermaid hands with pear and pink magnolia hand creme. The Parisian Millefleurs flower water sounds AMAZING. I wants some. (if it actually smells good) I don't typically wear perfume and I can't stand anything heavy. I've been on a search for years for something to wear that won't give me a migraine or make me itch. No idea what this would be like, but doesn't flower water also sound so nice? And lastly, I can assert with great conviction that C&E's goatmilk soap was perhaps the greatest smell on earth, behind babies and cookies. Sadly, it has gone out of production and you can only find it on places like Ebay. Has anyone ever bought soap on Ebay?? I'm asking so many questions today. I don't think I will be purchasing old soap on Ebay. So even though my heart is crushed that C&E stopped making this amazing product, I'm wondering if I could again find soap happiness with their Lily soap. So there you go. 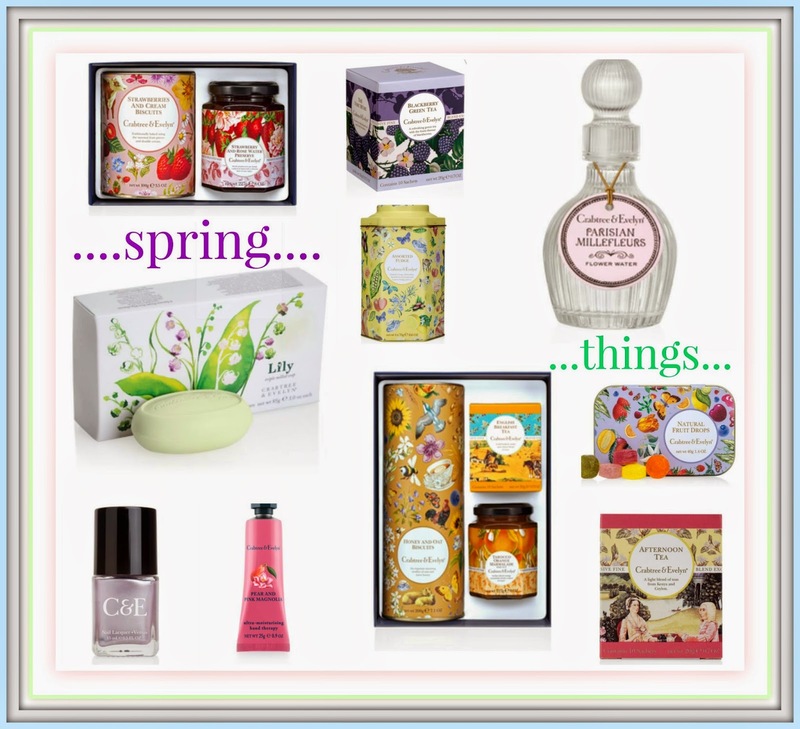 My imaginary Easter wish list and all from Crabtree & Evelyn. HOW DO I GET THESE PEOPLE TO SPONSOR ME?? Maybe I should send them this post! I'm clearly their biggest fan. You are such a lady! And if Andrew is reading your blog, I'm very impressed. I'm pretty sure Jeremy has never read mine! Ha! Yeah, Andrew doesn't really read this blog unless I stick a post right under his nose. And he has also informed me that I'm basically like a 89 year old lady, with my love of the weather report, prunes, and heat packs. Woooooo! An Easter basket for grownups sounds heavenly. I have never been given a gift basket, so I'm not exactly certain what should go into one, but I'd be pretty happy to get your picks. Well I'll tell you what should go in ALL gift baskets, yessirree: TEA. JAMS and JELLIES. A sweet treat. Maybe a copy of 'A Year in Provence' the feel good book of all time. Oh my goodness, I want to go into the gift basket business, ha ha ha! I want a grown-up Easter basket, too! That's the best idea ever!